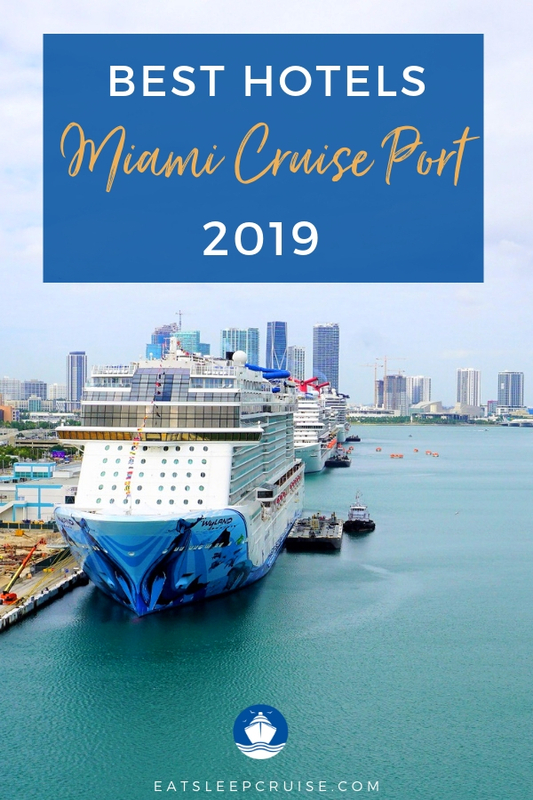 Are you looking for the best hotels near Miami cruise port? If so, you are not alone! As the world’s busiest cruise port, Miami, FL sees a fair share of cruise passengers. In fact, close to 5 million travelers visit the port each year. 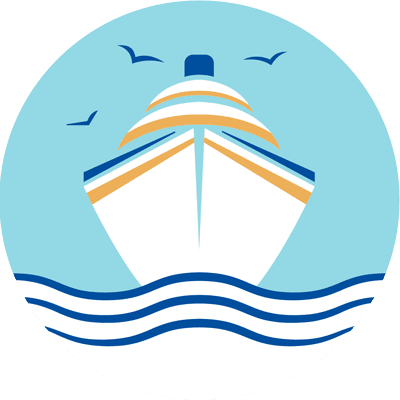 If you have a cruise departing from Miami (or are looking to book one) and you need a pre-cruise or post cruise hotel stay, we have you covered. 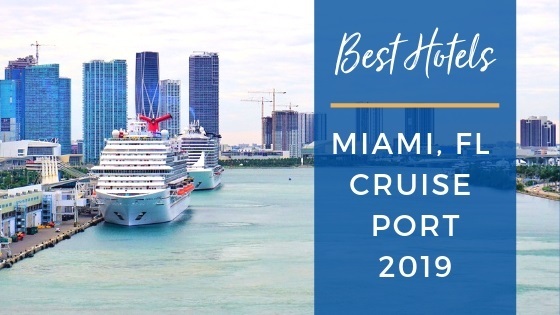 After reviewing hotel sites and comparing packages and amenities, we have put together this list of the best hotels near Miami cruise port which has been updated for 2019! 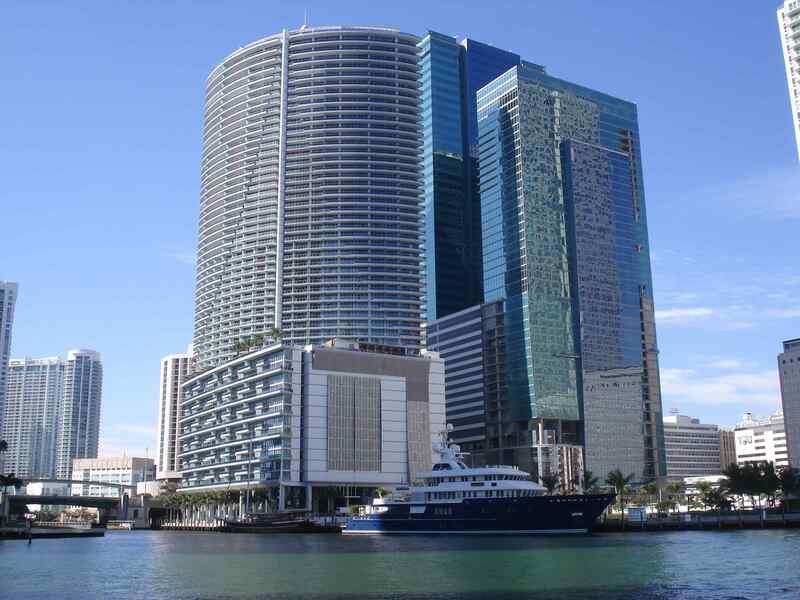 To compare prices for the best hotels near Miami cruise port, we used prices quoted on each hotel’s website. We tested the same night, for two adults, in a standard king bedroom. 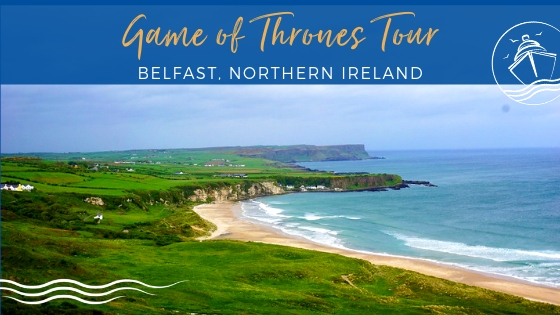 We picked a pre-cruise stay 4 months out from the sailing date of an off season cruise. Of course, hotel prices are subject to change at any time and may vary due to season and time of booking. No one wants to spend a needless amount of money on a hotel stay. 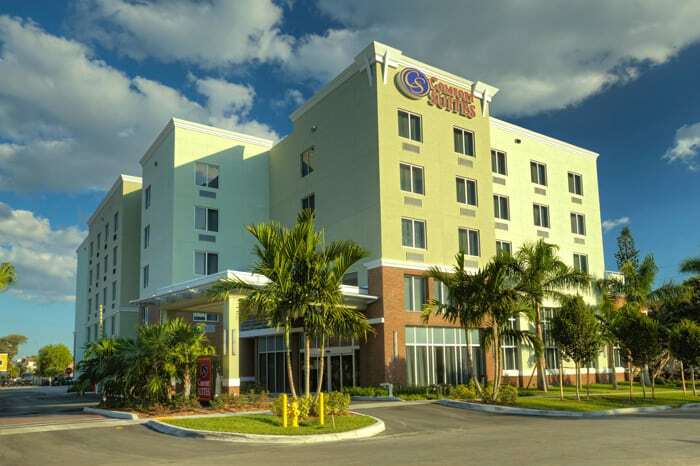 So, when you book a room at the Comfort Suites Miami you won’t break your bank. With over 1,600 reviews, the hotel gets a 4 star rating, with travelers raving about the breakfast options and convenience of the hotel’s location. The hotel provides a free, on-demand shuttle to get you from the airport to the property. When you arrive, you can also schedule a complimentary shuttle to the cruise port. Times and availability are first come, first serve, so sign up as soon as you check-in. For return trips from the cruise port, the shuttle company charges $10 a person. 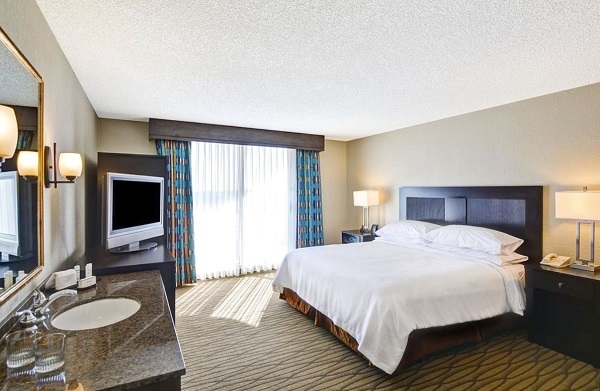 Located minutes from the airport, this hotel offers all suite accommodations. These spacious rooms include a microwave and refrigerator, along with free WiFi. Also, suites include a large sitting area with a 42″ HD television and work station with an Apple device docking station. 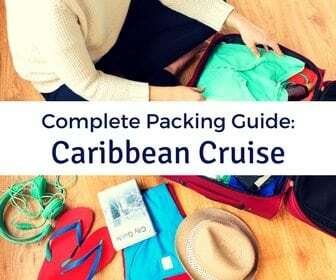 Thus, you can relax or get some last minute work done before you depart to the Caribbean. You can also relax in the outdoor heated pool or get your adrenaline flowing before your vacation with a quick workout at the 24 hour fitness center. During our test weekend, our pre-cruise stay came in at $144. This is a great value considering all of the included benefits of staying at the hotel. Parking is free during the length of your stay, and extended parking can be purchased for $12 a night. 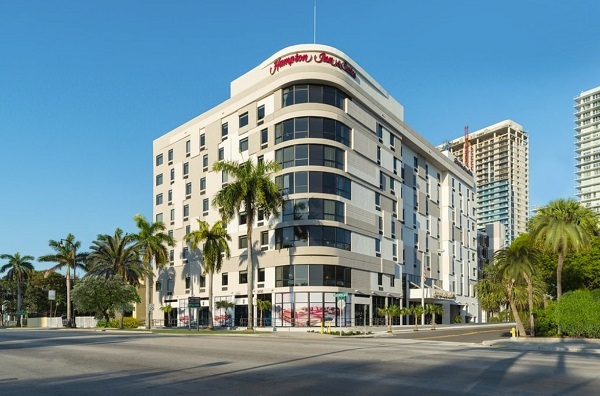 The Hampton Inn and Suites Miami Midtown is located just a short 10 minute ride to the cruise port. 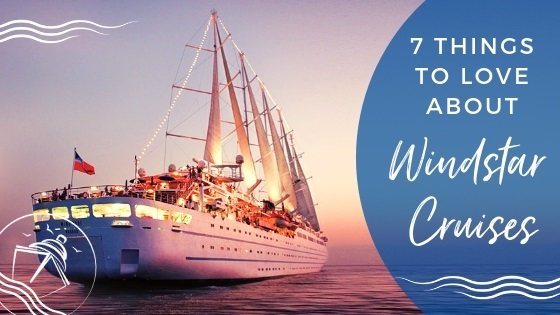 Not that you need to worry about catching a cab, as the hotel’s Cruise and Stay package includes a transfer to your cruise ship. This complete package also includes a hot breakfast and high-speed WiFi. For those driving to the cruise port, the hotel offers discounted parking of $10 a day when booking this package. 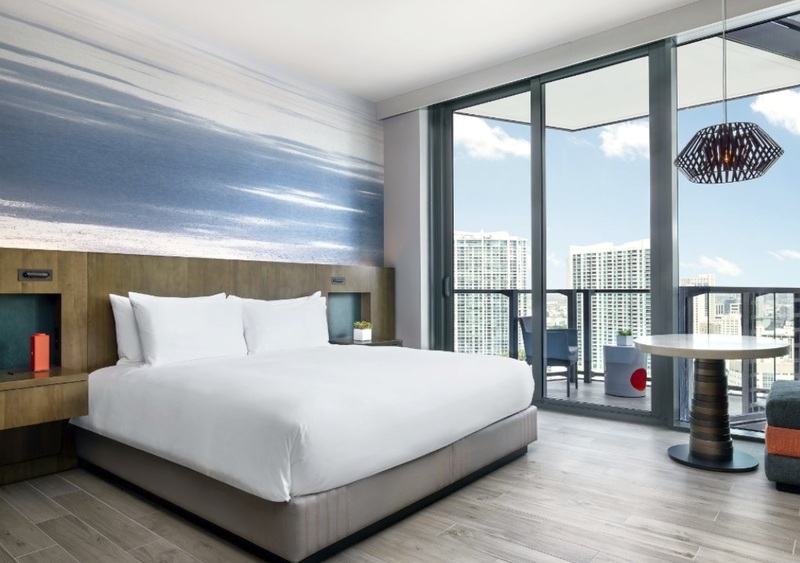 This new hotel is located in the center of the vibrant Miami Arts district making it a great starting point to explore all the city has to offer. This moderate hotel includes free Wi-Fi and a complimentary hot breakfast. A fitness center and an outdoor pool are also available. Rated as one of the top 3 hotels in Miami, Hampton Inn and Suites receives a solid 4.5 rating on Tripadvisor. Previous travelers highlight the hotel staff and the clean and comfortable rooms. 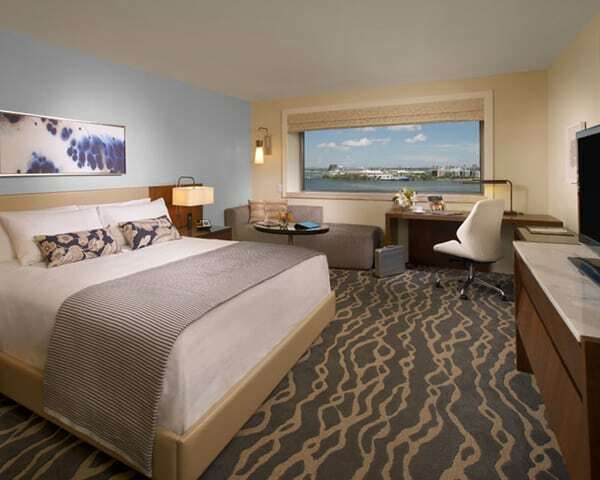 For our test night, the Cruise and Stay package was quoted at $179 for a king bedroom. This room includes standard amenities, such as a desk, 40″ LCD television, a coffee-maker, and mini-fridge. 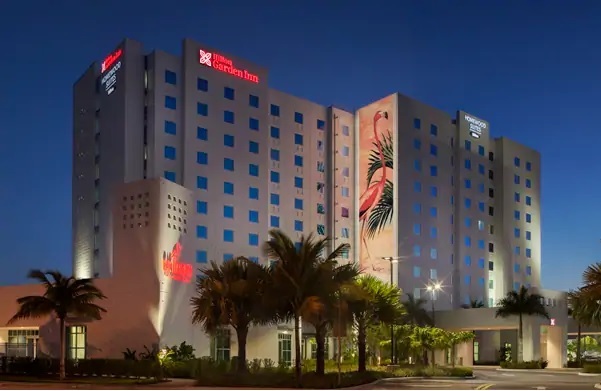 At this rate, the Hampton Inn & Suites Miami Midtown is easily one of our top picks for the best hotels near Miami cruise port. 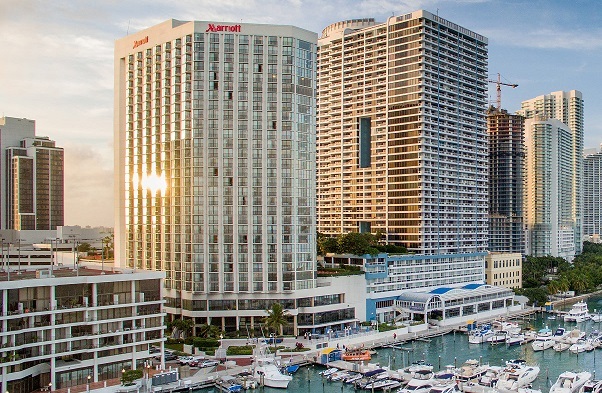 Just minutes from the cruise port, the Miami Marriott Biscayne Bay is centrally located for you to enjoy all that Miami has to offer. Of course, the hotel includes some nice amenities and features too. 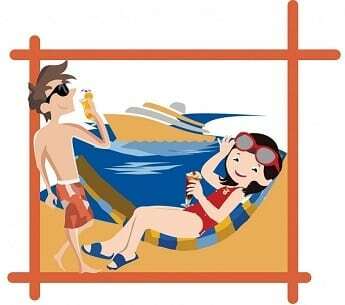 So, you may just want to sit back and relax in preparation of your vacation. 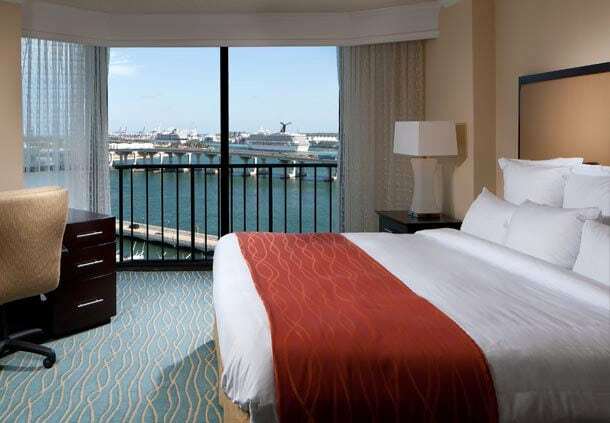 With its proximity to the cruise port and stunning bay views, this hotel is a great option for a pre-cruise stay in Miami. Perfectly designed rooms and deluxe bathrooms might be why the hotel has a 4.0 rating on Tripadvisor. Previous guests loved the hotel’s attention to detail and location near the water. 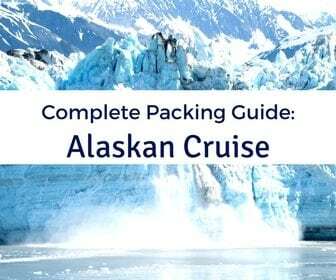 For our pre-cruise stay, the Cruise package came in at $199 for two adults. While not as inclusive as other packages, you do receive a complimentary cocktail upon check-in, breakfast for two the next morning, and transportation to the port. High speed internet is extra for those who are not Marriott Rewards members, starting at $9.95 a night. Transportation to the hotel from the airport will cost you about $30 for a taxi or self-parking is $29 a night. 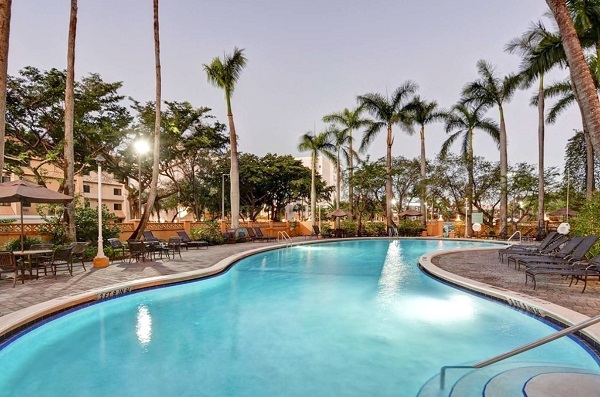 The tropically themed Embassy Suites by Hilton Miami Airport lets you begin your vacation early. Palm trees, bright colors, and nautically inspired décor can be found throughout the property. Guests staying at this hotel are welcomed in style with an evening reception including complimentary snacks and drinks. You can also stay around to enjoy dinner at Grill 305. Before departing on your cruise, all guests are treated to a complimentary cooked to order breakfast. This all-suite hotel means that you can spread out in the spacious two room accommodations. All rooms include a seating area with a work station and television and a separate full bedroom. So, you and the family can have your own space prior to spending a week in those cramped cruise ship cabins. 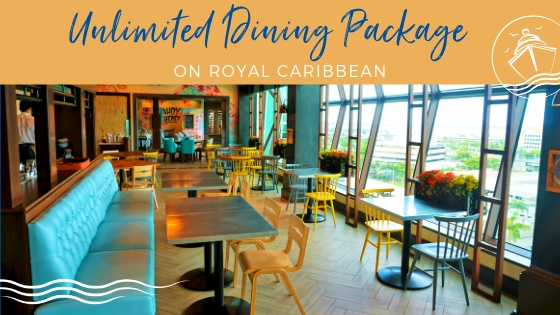 The hotel offers a Cruise Package which includes round-trip transfers from the airport, one-way transfers to the cruise port, and in-room WiFi. For our test night, the package came in at $234. If you are driving to the hotel, parking will cost you $17 a day for the length of your cruise. 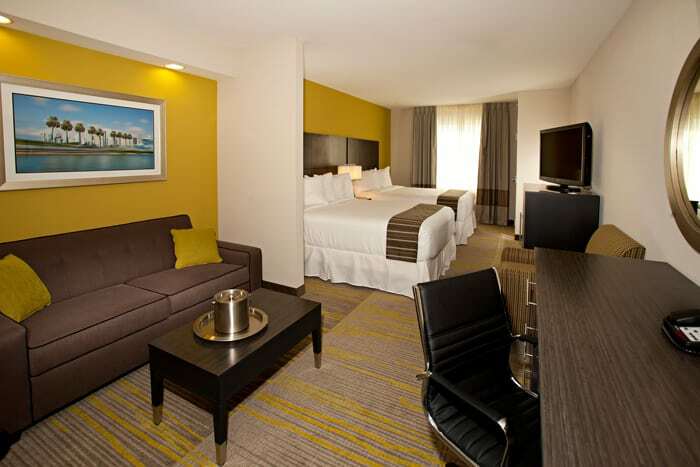 A relatively new moderate hotel, the Hilton Garden Inn Miami Dolphin Mall is a shopaholic’s ideal lodging. Located directly across the street from Dolphin Mall, you can stock up on some cruise wear right before your voyage. Although, the hotel boasts plenty of features for those who want to relax around the property prior to the trip. The generous sized outdoor pool is the perfect place to catch some rays. At night, you can sip a drink from the bar alongside outdoor fire pits, after all you are on vacation! 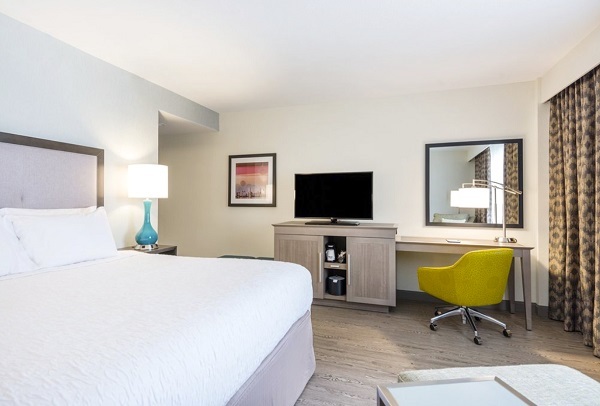 The clean and simple over-sized king rooms come fully equipped with a mini-fridge, microwave, and a Keurig machine to make you feel at home. All rooms also feature a 42-inch flat-screen TV and a strategically placed desk with an ergonomic chair. While at the Hilton Garden Inn, you are sure to get a restful pre-cruise sleep on the luxurious Suite Dreams mattresses found in all rooms. This newer hotel has a solid 4.5 rating on Tripadvisor, with past guests raving about the front desk staff, clean rooms, and the hotel’s location. For our test night, the standard king room essentials package, which included breakfast for two and enhanced WiFi, was priced at $128. The hotel is a about a 15 minute ride from the airport and about 25 minutes to the cruise port. You will need to find transportation to the airport as well as to the cruise port the following day. Still, factoring in those costs, the hotel is quite a bargain. 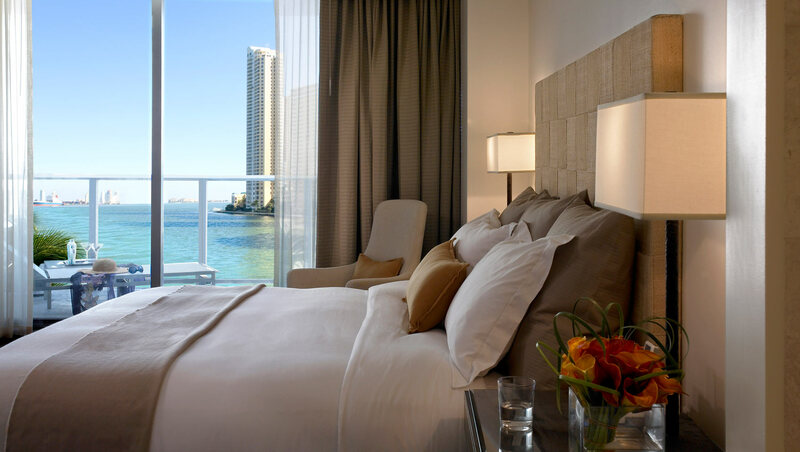 The Intercontinental Miami is THE Miami hotel, which has hosted Olympic athletes, rock stars, and celebrities. Of course, it makes our list of the best hotels near the Miami cruise port. 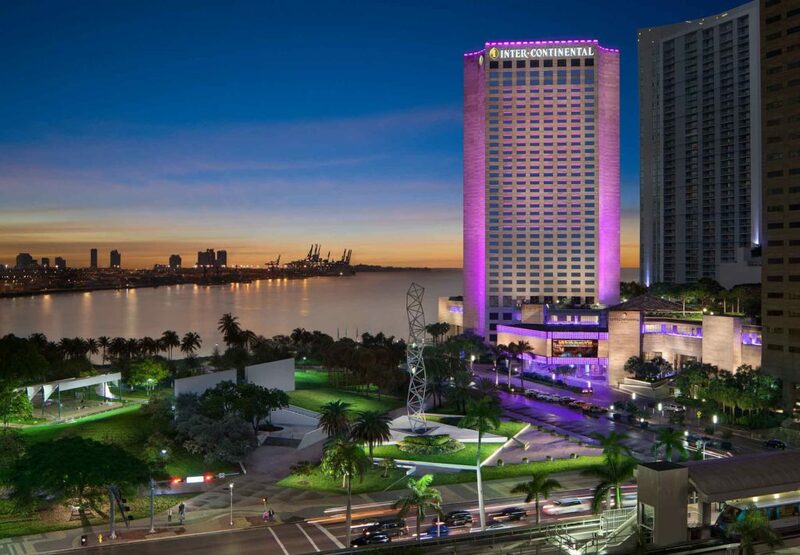 Consistently rated as one of U.S. News Best Hotels, Intercontinental Miami is sure to provide you with the high level of service and pampering you deserve when on vacation. With close to 7,000 reviews, the hotel maintains a 4.5 rating, with reviews praising the luxurious accommodations. With a bright and colorful lobby, that was actually built around an 18 foot marble sculpture, art and architecture are key elements in this hotel. The same design elements continue into your room, offering a modern feel with trendy décor. 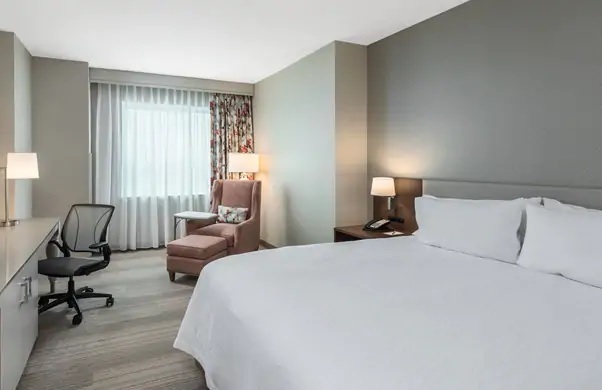 With several restaurants in the hotel, a 24 hour fitness center, free WiFi, a spa, and even car rentals, everything you need is conveniently located at your fingertips. The cruise package for our pre-cruise stay was $232. This package includes two cocktails the night of your arrival and a hot breakfast the morning of your departure. The hotel also provides a credit towards transportation to the cruise port. Parking will cost you $39 a night. Unfortunately, there is no shuttle to and from the airport, so that will cost you additional as well. For travelers looking for something a bit different, we suggest the Kimpton Epic Hotel. This boutique hotel chain brings its unique charm and funky design to downtown Miami. Located in the heart of all the action, the hotel is an attraction itself. Not to mention, the Kimpton Epic Miami’s location gives cruisers a potential view of the cruise ships in the morning. With all of these benefits, it shouldn’t be a surprise that the hotel has a 4.5 rating on Tripadvisor, with travelers touting the hotel’s location, room views, and dining. Kimpton Epic boasts several amenities as part of the $33 a night resort fee. This additional cost grants travelers access to the fitness center, the pools, and includes complimentary newspaper delivery. The hotel also has two restaurants including the rooftop Area 31 and an onsite spa. In addition, the hotel hosts a wine reception each evening to prepare guests for an “epic” night out in the city. This stylish hotel delivers a luxurious stay without breaking the bank. For our test night, a standard King Room with a private balcony started at $265. These 465 square foot rooms are massive and include a large desk and storage area. The comfy pillow top mattresses mean you will have a restful sleep after a long day of traveling, while the spacious bathrooms with rain head showers and deep soak tubs will prepare you for embarkation day. Free WiFi is available throughout the property. However, you will need to find airport transportation, which should cost you about $30. The hotel is located two miles from the cruise port with an Uber to your ship costing about $10. 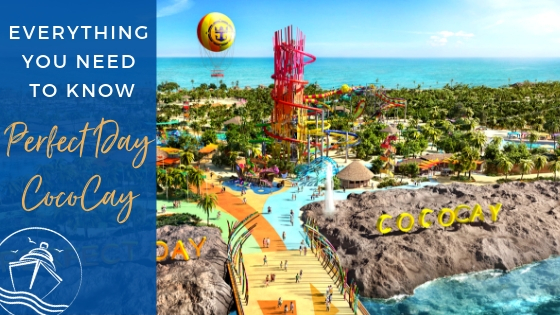 Want to get your vacation started in style? Then, perhaps you need to spend a pre-cruise night in Miami’s hottest area, South Beach. 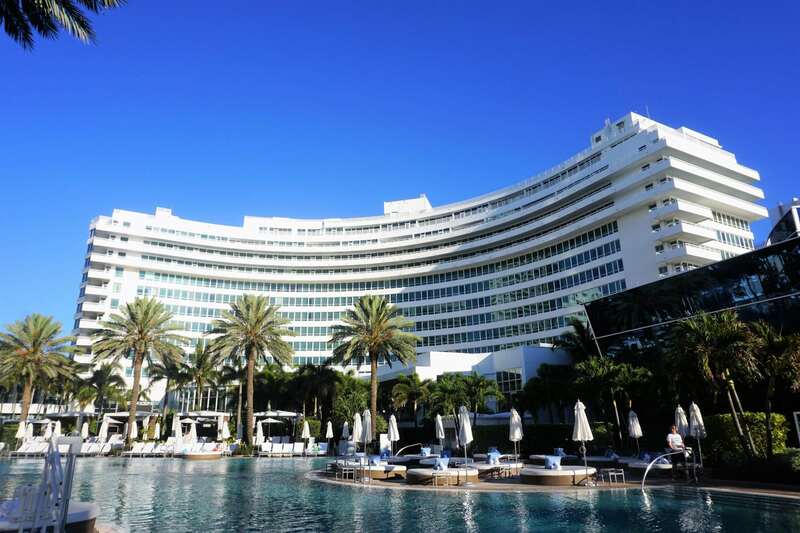 There is no better place to live it up on this island than the iconic Fontainebleau Miami Beach. This resort is located right on the beach and has its own private section reserved just for guests. This historic location blends modern design with golden-age relics. This massive resort is a travel destination itself. With first class service, food, and amenities, it is not much different than a cruise ship. For those looking to extend their vacation pre or post cruise, this hotel might be the perfect fit. Over 15,000 Tripadvisor reviews can’t be wrong! The hotel is frequently rated as having stunning views, an immaculate pool area, and amazing staff. The hotel has 8 different restaurants, two night clubs, several pools, a spa, and a variety of bars and lounges. 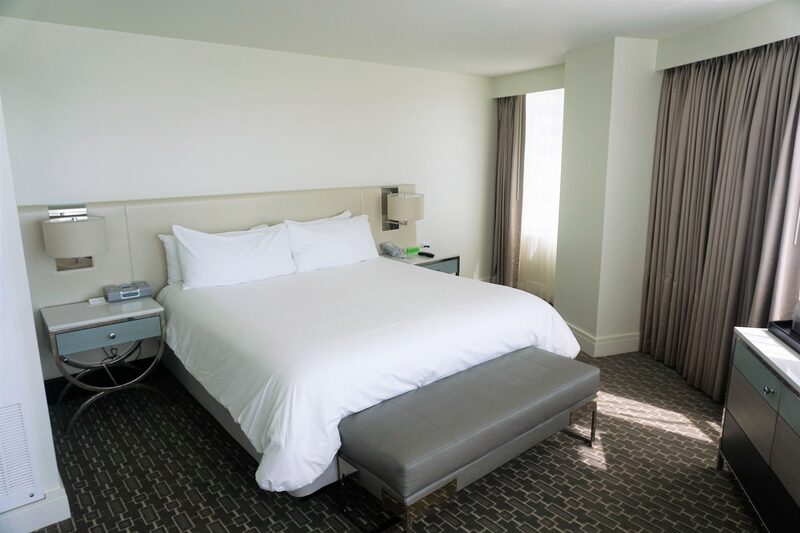 For our test night, the Fontainebleau Deluxe Bayview king room was listed at $279 a night. The 300 square foot room includes typical furniture, such as s small desk, an LCD television, and ample room for storage. The extra large marble lined bathrooms allow plenty of space for two individuals to get ready in the morning. No transportation is available through the hotel. So, you will need to factor in a taxi from the airport to the hotel, around $35, as well as from the hotel to the cruise terminal, estimated at $25. Despite these added costs, we loved the luxurious feel of this resort during our pre-cruise stay. 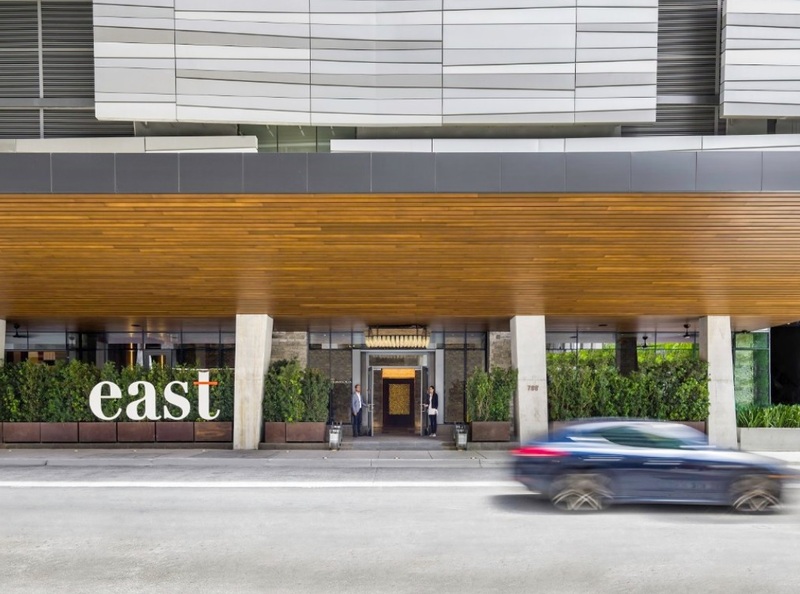 Making a splash with its first hotel in North America, Swire Hotel’s East Miami is the best hotel near Miami cruise port for those trendsetters. Located in the heart of the bustling Brickell district, you are at the epicenter of this modern neighborhood. The hotel has quickly gained a reputation for quality service and hospitality. With over 800 Tripadvisor reviews, this 4.5 star rated hotel is hailed for its amenities, excellent location, and luxurious finishes. This 21st Century hotel suits the neighborhood well, as it masterfully mixes technology, dining, and other inviting spaces. 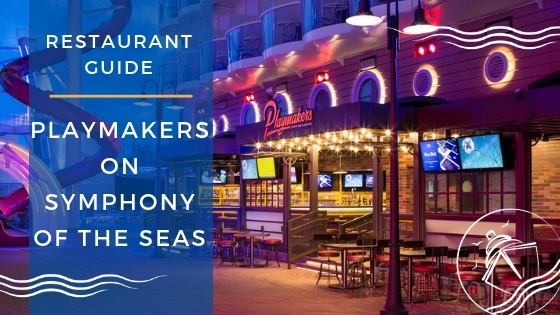 These public spaces include the hotel’s signature restaurant, and Sugar, East Miami’s rooftop bar which has been rated the number one establishment by Conde Nast Traveler. An equally impressive outdoor pool deck will let you lounge around after a long day of exploring the historic surrounding areas. For our test weekend, the 300 sq ft. Urban King room started at $279. This is not a bad price at all to enjoy the luxurious accommodations which feature floor-to-ceiling windows and a mood lighting system controlled from your smartphone. The minimalist design maximizes the room’s area. All rooms also come complete with a balcony offering a private outlet to enjoy the Miami weather. Located less than 3 miles from the cruise port, this hotel offers you easy access to your cruise ship, while providing a urban chic escape. You will need to spring for transportation to and from the airport, which will be about $25. Similarly, transportation to the cruise terminal will probably run you about $10 on the morning of your cruise. Have you stayed at any of these hotels? 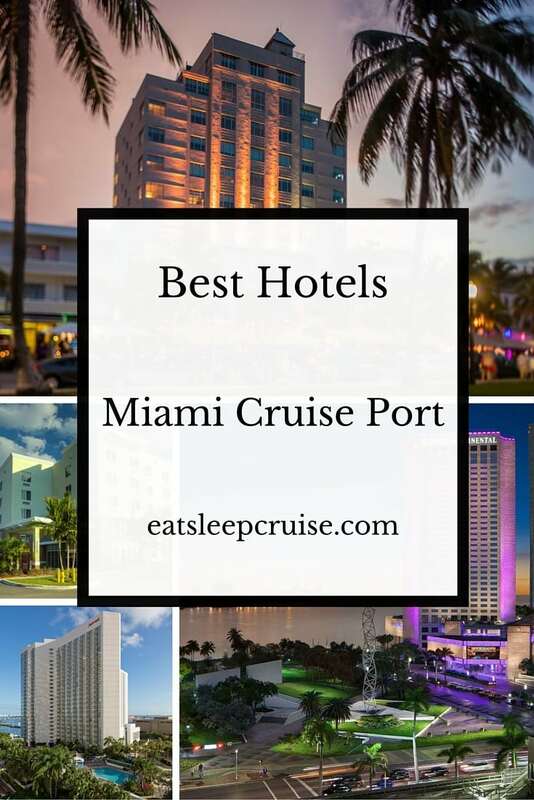 What tops your list of the best hotels near Miami cruise port? Drop us an anchor below to help your fellow cruisers find the perfect lodging near this popular cruise port.